This ambitious condominium development occupies prime real estate in the heart of Toronto’s Entertainment District, featuring striking architecture, luxe amenities and access to vibrant nightlife. 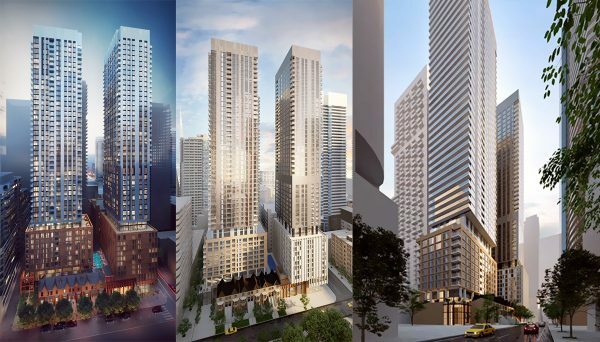 Meet Theatre District Residence, a pre-construction Entertainment District condominium slated for occupancy in 2021. Developed by Plaza, the project takes up almost an entire block on the west side of Widmer Street, between King Street West and Adelaide. St W.
Featuring both hotel and condominium suites, plenty of space for upscale retail at street level and what will eventually be two modern towers and a block of townhomes, this project brings together everything desirable about urban living. The plan calls for two components to the site at 8-20 Widmer St. A 48-storey tower will be anchored by an 10-storey podium and will occupy the north portion of the site. Suites will be available in studio, one-bedroom, two-bedroom and three-bedroom units. Three-bedroom units will range from 869 to 1,512 sq ft. The building's first 28 storeys will contain a 353-room hotel. The 49-storey tower on the south parcel will all be condo suites. Residents will have access to 4,693 square feet of indoor and outdoor amenities in this tower, housed on the building's 29th floor. These amenities are geared toward fitness and social activities and include a party room and dining room with chef’s kitchen attached. With a singular, glazed tower featuring staggered balconies, the residential portion blends in with many modern structures in the district, while the podium will house shops or restaurants and feature a warm brick façade. This façade reflects the many converted warehouses and former factories that give the King West area its unique character. 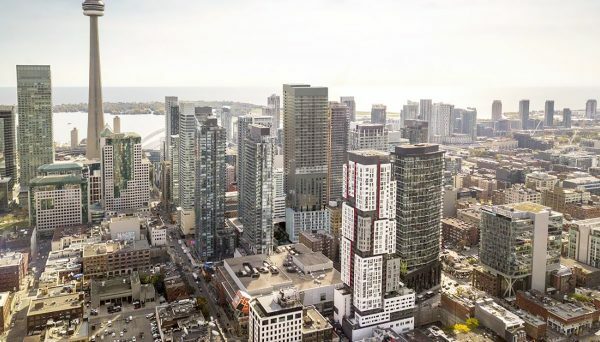 The south portion of the site will feature a 50-storey tower anchored by a 6-storey podium, along with six heritage townhomes, which will be restored and used for commercial space. Between the two condominium towers, It will total approximately 4oo units. Residents will have access to both underground and above ground parking, although with the neighbourhood scoring a perfect 100/100 for both its Walk and Transit Scores, one might find themselves strolling or taking a scenic streetcar ride around their new neighbourhood more than driving. 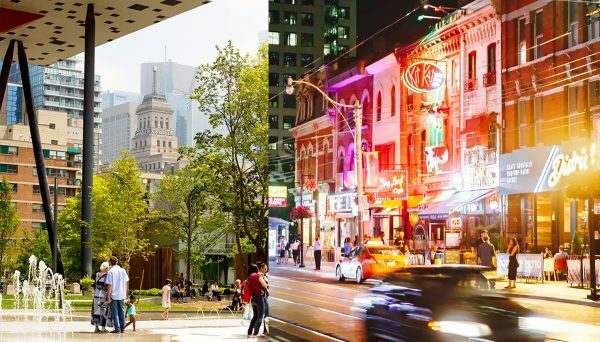 Toronto’s Entertainment District is already a lively, youthful place to call home, and it’s still growing as we speak. The city has designated its downtown portion – including this stretch – as the preeminent growth and intensification area, making it a great time to invest in real estate in this vibrant enclave. Torontonians from all over flock to this west-end district, known for housing the city’s hottest eateries, bars and nightclubs. Whether you’re looking to enjoy some cocktails on an A-list rooftop bar, or go celebrity-spotting at the newest teppanyaki joint, it’s all possible here. You’re also in the thick of live theatre, trendy galleries and the TIFF Bell Light Box, headquarters for the Toronto International Film Festival. With strong, industrial roots, the stretch is also filled with warehouses and factories that have been converted into professional offices. During the day the streets are abuzz with creative, technology and corporate professionals. With a handful of mixed-use and commercial developments – including a future OCAD University campus - slated for production in the surrounding area, we predict the stretch will become even more of a hub for businesses and professionals. Additionally, it's a few blocks from the Financial District, home to hundreds of major corporate head offices, where it’s estimated 200,000 people work each day. With multiple 24-hour streetcar routes within blocks, as well as St. Andrews Station, commuting is a breeze. Union Station is one subway stop away, which connects to the GO Train system and The Union Pearson Express. Using transit, Ryerson University, The University of Toronto, and dozens of the city’s most eclectic neighbourhoods are easily within reach. 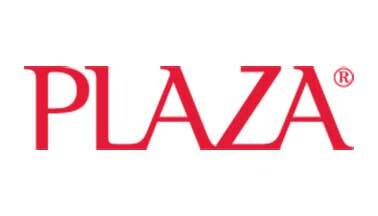 Plaza is a development company that knows Toronto. With 5,000 condominium suites either completed or under construction in the city alone, their luxury high-rises can be found in some of the most desirable enclaves, from midtown to downtown and everything in between. They pride themselves on structures that have lasting value. Among the some of the first companies to include finishes like granite counters, marble bathrooms and engineered hardwood as standard finishes, they believe that building in quality from the ground up should be the hallmark of every project they undertake. Read more about Plaza.